This may see like an odd time of the year to be discussing insurance. No doubt your mind is geared toward preparing for Christmas and figuring out how to save money on all the presents, decorations and food you will buy during the holidays. There is a reason however why this is coming out now, one that highlights an issue many people have when it comes to insurance. I’ve put off talking about it…for months. This post idea to go over the basic reason why we need insurance has been listed in my “blog topics to cover” spreadsheet since March. But I keep putting off writing about it, pushing it back month after month. Honestly, I don’t enjoy researching and talking about insurance. It’s like the black sheep of the family. Every family has one at some level, right? That person who brings immediate tension to the room whenever their name is brought up? That historical figure we’ve conveniently deleted from the family ancestral tree? Insurance is that black sheep in our personal finance family. With the exception of insurance salesmen, I don’t know anyone who gets up in the morning fired up about reviewing insurance policies. I’ll worry about saving, getting out of debt, investing, budgeting, root canals…anything before insurance. Is it just me or is anyone else with me on this? Insurance can be really frustrating and confusing to deal with. But I know it’s important and that I need it…badly. Without it I could be putting myself in serious jeopardy. At the most basic level, the reason we need insurance can be summed up in three words – to reduce risk. The risk we are in need of reducing is of course financial risk. Without insurance we could be forced to pay excessive amounts of money to cover accidents, illnesses, or lawsuits people bring on us for one reason or another. These amounts could become so exorbitant that they might bankrupt us. An entire life savings could be wiped out over one incident. This is where an insurance company steps in. Insurance companies will contract with the individual to help reduce the risk of a financial catastrophe. They will shoulder the burden of helping you cover excessive costs in exchange for a monthly premium from you. Here’s how that works. If I purchase a $30,000 car and choose not to have insurance I’ve put myself at considerable financial risk. If I have an accident and the repairs cost $15,000, then I’ll be expected to come up with all that money myself to pay for the repair. That’s an expensive repair! In steps the insurance company. When I have an insurance policy with a company, I pay them a monthly premium. In exchange, they will cover the cost of the repairs past a certain amount (called a deductible) and up to a certain point (called the limit). I’ll be responsible to pay for everything up to the deductible amount. So for example, the deductible on XYZ automobile policy is $5,000. With the accident mentioned above I would pay $5,000 in repairs and the insurance company would cover the rest of it – $10,000. That’s considerable savings and how insurance reduces risk and our financial exposure to life events. Generally speaking, premiums and deductibles are tied to one another within insurance policies. All other things being equal, the more personal financial risk you are willing to assume (which would mean a higher deductible amount) the lower your monthly premiums will be. The less risk the higher the monthly premium. Monthly premiums and deductibles will vary depending on the insurance policy. They will fluctuate depending on whether or not you have an insurance claim (an personal event for which they pay) during the year. And, as we’ve seen recently with healthcare, they can also change based on things completely out of our control. Sending off those monthly premiums may feel frustrating. You may be tempted to cut them out of the monthly budget to save money. I’d advise against that as the financial consequences of being uninsured or underinsured are too great to ignore. For 2015, I’ve decided to put together a series of posts dealing with each type of insurance. The main types of insurance are of course auto, homeowners, life, health, disability and umbrella policies. I’ll tackle each one of those separately and in depth, doing one each month through June. I may pull my teeth out writing these posts. (I’ll try to make it informative and entertaining at the same time.) However, it’s important information to cover for our personal finances and will help me personally solidify in my own mind a deeper understanding of each category. We work too hard to have our life savings used up in paying for a catastrophic event. We can make sure that doesn’t happen by being properly knowledgeable about how insurance helps us. It really is our friend not the black sheep of the family. Does insurance frustrate you? Have you ever had a life event where insurance really saved you financially? Do you prefer to have low or high deductibles on your policies? HaHa – black sheep. Love it. It’s true that many clients want to avoid the conversation of insurance with me. I’m a big fan of insurance but then again, I want to protect everything I have worked so hard to achieve and the ones I love the most. And I think most people feel that way but that’s not how they look at insurance. It’s a worthy topic, Brian, and I’m glad you’re going to giving it a closer look. “…I think most people feel that way…” Agreed, but they don’t want to pay to protect what they’ve worked for. That’s too bad because all that hard work to build a solid financial foundation can go out the door in an instant. I guess I’m a black sheep in many ways myself. 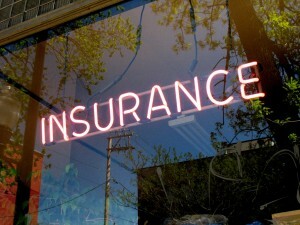 I love the insurance topic (it’s actually the first blog I wrote for my soon to arrive blog.) I love it because it’s so misunderstood but is really quiet simple at it’s root. There are a lot of parts though. So while it can be overwhelming, it’s a brilliant place to go “gold hunting” for unnecessary or over insured items to save money. While other areas are often overlooked that can really help reduce risk and don’t cost much. Frankly, I feel much of our health care issues stem from a misunderstanding of insurance. I recently had a discussion with a client about insurance that was fun because she was so thankful for the education. It helped her look at insurance differently. Good for you to take on this very important and much overlooked topic! I agree with your assessment Tara that it’s simplistic in nature but often misunderstood. And a soon-to-be welcome to the blog world! If you have any questions don’t hesitate to ask. Tonya recently posted…Learning a Musical Instrument: A Good Investment? I’d rather have the higher deductible and lower monthly premium as well. The key is to have up to that deductible amount in savings somewhere should an event occur. We have ours in and HSA. Ha ha, I love the Black Sheep analogy – probably because it’s true! 🙂 I know it’s not really an interesting or necessarily “fun” topic to write about but I think that should make us want to write about it more because there are many out there who either don’t understand it or have adequate coverage and opening themselves up to too much risk. I worked in the life insurance industry for about five years and my wife ten so we have a pretty good grasp of what’s needed. Life insurance is the one I would skimp the least on. I would want to know beyond any doubt that those left behind after an untimely death would be taken care of and have options. Term life insurance is so cheap too, you can afford to buy a little bit extra. For me, insurance is for protecting me (and my family) against financial losses that I can’t afford to be subjected to. I know most folks around here are ‘younger’, but long-term care insurance is a controversial topic you may want to cover. “…long term care insurance…” Yes, very important…I think I’m going to touch on that in the health insurance discussion. That’s definitely part of a well-designed insurance plan. I am a HUGE fan of insurance, but agree that for many people, it’s the black sheep of personal finance. Usually when I bring it up with clients they get slightly uncomfortable in their seats and I think it’s because just the talk of insurance brings up uncomfortable topics like death, accidents and damage. The reality, though, is that suffering from any of these is FAR worse than the topic of planning around it. I really don’t care if my clients are uncomfortable, I force them to have the conversation because I would be uncomfortable if they didn’t have the protections they need. “…get slightly uncomfortable in their seats…” Or they think you are trying to sell them something. That happened to us once when we went to meet with a financial adviser. On the first, free-visit consultation he spent an hour trying to scare us into buying insurance plans. We have plenty of insurance where it matters. My dad was an Allstate agent for more than 30 years, so I have always understood the value of being properly insured. Holly recently posted…Our 2014 Spending: How Did We Do? “…being properly insured.” That’s an important part of the equation – being properly (adequately) insured. People can carry insurance but be under-insured or have a terrible policy that won’t meet their need. Love the title and your right insurance is the blacksheep to personal finance. I have to be honest I hate paying for something that I may not need right now, but its important for us to take care of ourselves and family. I have a really great insurance plan, but I do hate talking, reading, a researching about it. Thank you for putting it in my face. Petrish recently posted…What Do People Really Think About Your Blog? “…I hate paying for something that I may not need right now…” That’s it Petrish…you nailed the issue many have with insurance. It feels very dissatisfying to send those payments every month when you never have an incident. But I know life can change in an instant which is why I keep sending the payments.